I'm a geek. And as any serious Sci-Fi geek will tell you, the best part of fandom is meeting other fans at conventions and fan club activities. These pages contain photos, videos, and audio from science fiction conventions and other scifi events that I've attended over the last few years. I am the track photographer for the Whedon Universe track at Dragon*Con, and I also regularly attend the Shore Leave and Farpoint conventions near Baltimore, MD. If you're here because I've taken your picture and you got my card, I want to thank you for posing for my camera. Many of the costumes that I've seen were the result of days and weeks of effort, and I'm happy to try to capture the culmination of those efforts. I've also met new friends by taking convention photos, so if you'd like to chat with me you can look me up on Twitter and cosplay.com. Now that Dragon*Con 2013 has come to an end, I'm busy editing all of my photos. You can find this year's photos in the 2013 gallery. This is a list of conventions I'm planning to attend in the next few months. If you're looking for info on upcoming scifi conventions, a great place to go is the Green Tentacles Convention Finder. 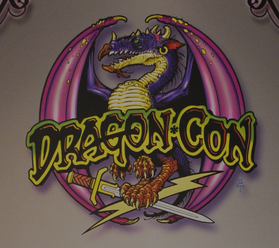 Convention season for 2013 is now over, so I'll be digging into my Dragon*Con photos to get them posted as quickly as possible!